Aguas frescas couldn’t be simpler to make. 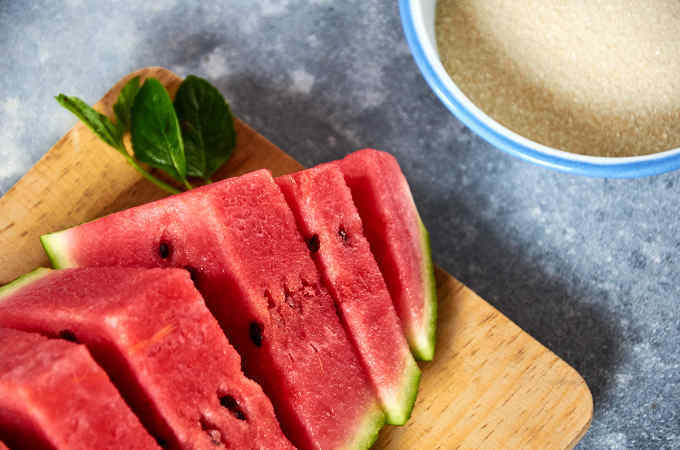 To make this one, blend watermelon and sugar with water and then serve lightly chilled. We like ours a little on the pulpy side. 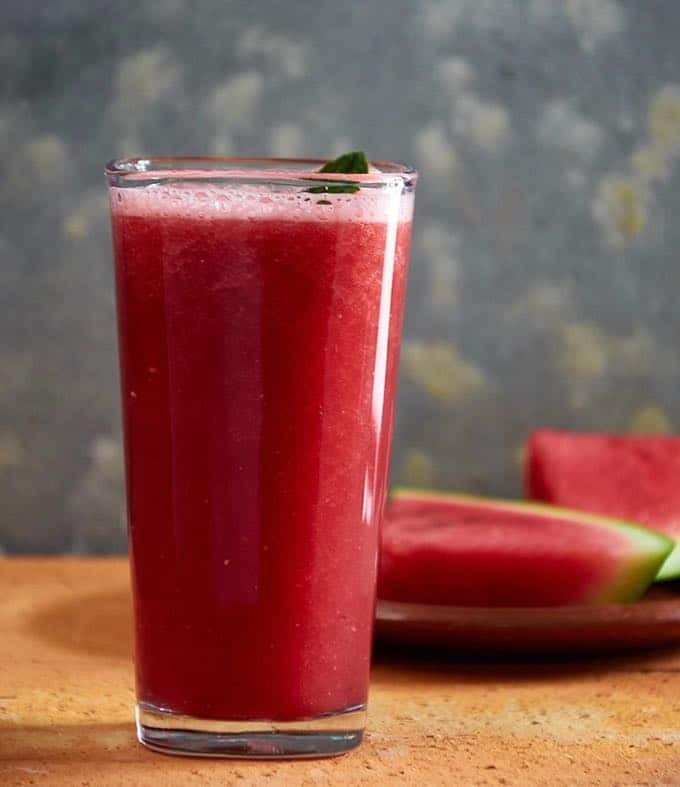 Reduce the quantity of watermelon if you prefer your agua a little thinner. Aguas of all types are enjoyed throughout Mexico and typically served with the comida, or mid-day meal. Get the ripest watermelon that you can. Your drink will be so much sweeter and richer in flavor. Plus, make sure you remove all of the seeds before blending. Cool and refreshing watermelon agua fresca, called agua de sandia. A perfect accompaniment to the comida, or mid-day meal and a much better option than soda. Cut the water melon into chunks and remove all the seeds. Pour the blended watermelon into a 1/2 gallon pitcher and add the cup of sugar. Stir vigorously until the sugar has dissolved. Serve lightly chilled or over ice. Garnish each glass with a mint leaf. Reduce the quantity of sugar if you prefer a less sweet drink.